We have seen that in order to constitute a HUF under the Hindu law, plurality of coparceners is necessary. Thus, where the family consists of only Husband and wife, an interesting question arises whether unborn child in the womb of mother along with Husband and wife can constitute a valid HUF. A similar question arose in the case of T.S. Srinivasan vs CIT (1966) 60 ITR 36. In this case, it was argied that under the Hindu Law, a son conceived has the same rights of property as a living son and therefore, HUF status should be granted from the time the son was conceived. 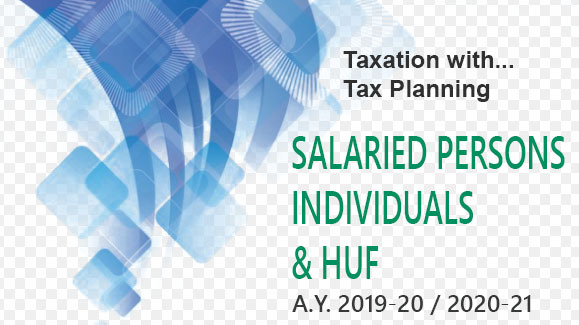 However, the Apex Court afte?a detailed reasoning held that for the purposes of income-tax Act unless the son comes into existence, it is difficult to recognize the status of HUF notwithstanding the fact that the Hindu Law recognizes rights of an unborn son or son in the womb. the case would equally apply to unborn daughters or daughters in the womb. Moreover, the case may even require reconsideration since the said judgement was given in view of the fact that till the time a child is born, it is not possible to say whether the child would be a son or a daughter. Thus, in view of the above, as soon as a son/daughter is born, an individual can claim status of HUf in respect of the properties which is received by him on partition of HUF of which he is a member. That on partition of the said HUF, I received certain properties and assets as per Schedule annexed herein. That till the date of this declaration, I was holding the aforesaid properties in the status of Individual on account of the fact that my HUF was not created. That on 13 August, 2011 a child was born to me who was named as IDR and thus I along with IDR and my wife constitute a valid HUF under the Hindu Law. That thyself along with my wife, my child IDR have decided to form a HUF consisting of all of us by throwing the property received on partition into the common hotchpotch of HUF. That my wife has signed this affidavit as a witness to the facts as aforesaid and as an acceptance of the said facts. That the Statements made hereinabove are true to the best of my knowledge and belief and nothing is false. The HUF must be capable of being formed i.e., it must consist of more than one member. The declaration should be properly worded to indicate that it is proposed to bequeath the property to HUF. The Stamp paper should be of requisite value. The Stamp paper should not be stale. The name in which stamp paper is purchased is proper i.e., either it is in the name of the HUF, or in the name of the c4eclarant or if it is in the name of an Advocate, that Advocate must sign the declaration as a withess. The above things must be kept in mind prior to forming HUF under this route. Once the HUF is validly formed, the HUF can now do all the activities, which can be undertaken by it.